ADVANCE SOLICIT NOW IN FULL COLOR! 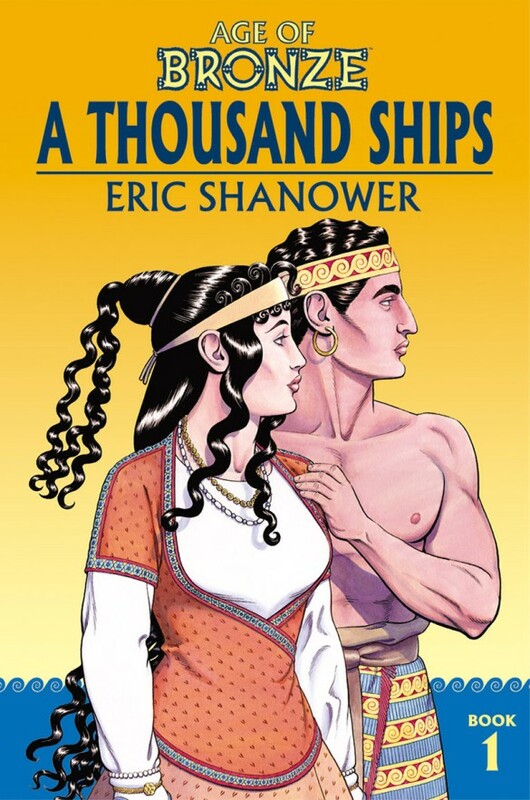 A brand-new look for multiple Eisner-winner ERIC SHANOWER’s hard-hitting version of the Trojan War. The politics and passion get turned up to eleven when colorist JOHN DALLAIRE injects his vibrant palette into the enduring epic. Helen runs off with Paris. Agamemnon declares war on Troy. Achilles hides among girls. Odysseus goes mad. And that’s only the beginning. Collects AGE OF BRONZE #1-9 COMPARISON TITLES If you like the epic adaptations of García and Rubín's BEOWULF and Neil Gaiman’s Norse Mythology, you’ll love this historical adaptation of Troy in AGE OF BRONZE.